The Internet has now become an important medium for all the product and service advertisements. It is the largest most profitable place to make the most profits. Almost every enterprise has also ventured into placing ads on the Internet. Advertise on the websites which are frequently visited by your targeted customers. The foremost thing is that you need to know whom you are targeting as your customer. By advertising on those sites which are frequently visited by yours targeted customers will increase the probability of your ad getting attention of customers. Some site charge more for advertising. However, there are many sites that can place a link to your site, product or service in exchange of having their link being displayed on your site. Also, having helpful links placed on your site and having sites link to your pages help in boosting search engine ranking. This is similar to making a statement that your site’s content is important that other sites have links to your web pages. 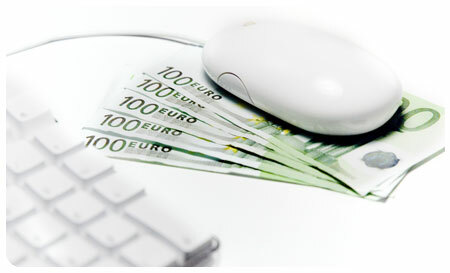 One of the powerful methods of internet marketing is Pay-Per-Click. You will only need to pay for the ad if the link is clicked. If you prefer this method of advertisement, make sure that you are using services that set limits on daily expenses. There are also services that help you determine effective keywords and monitor the PPC results. Domain name should be kept wisely. Many people think what domain name will matter while coming for search engine placement. You want your potential customer to visit your site again, so they must remember your site name with ease to do so. Your customers can easily remember the domain name when it is related to the products or if being catchy. And always have sufficient details on your sites. Keep an eye on your ads. Always check how much you have spent on placing links on frequently visited sites and on PPC. There are services that allow you to monitor PPC transactions and how many of these end in sales. You always need to consider if the ads that you have placed on these websites are getting you to your target consumers and if these ads can lead to revenue.